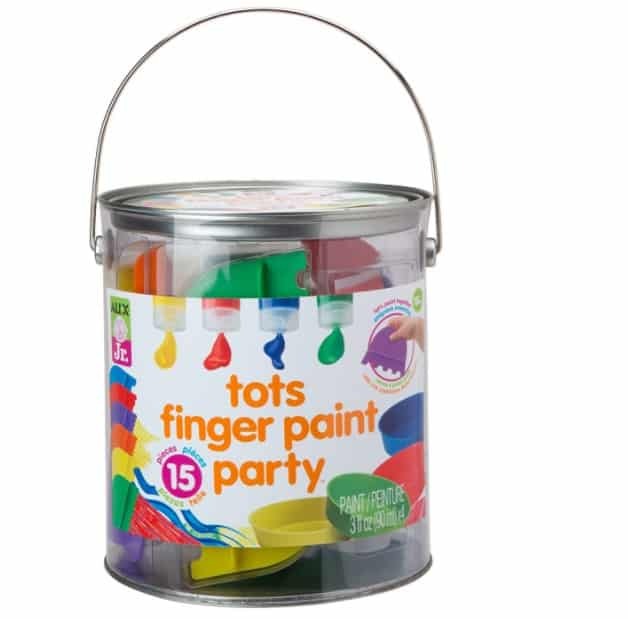 The ALEX Jr. Tots Finger Paint Party is on sale for $13.85 at Amazon right now. That's 50% off the list price of $27.50! A big bucket of finger painting fun for toddlers. Plastic painting tools act as brushes that add texture to your art. Paint plates for mixing colors or just limiting the amount of paint being used. Includes red, blue, yellow and green 3oz tubes of paint, 4 plates, 6 plastic tools, an apron and clear plastic paint bucket. Recommended for children 18 months of age and older.